This Italian porcelain tile represents the newest standard in high-quality technology. An artistic fusion or quartzite stone and metal, Inner incorporates a unique metal-like finish into the tile that produces reflective stone veining. 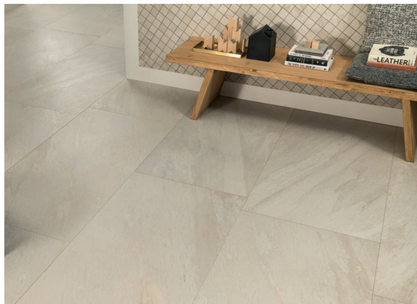 A modern tile elevated to a new design appeal, this technical porcelain is available in 12" x 24" or larger tile formats, along with a 2" x 2" mosaic tile pattern.